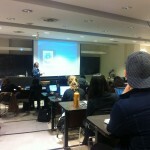 The ChessBard at Ryerson University + a Facebook page to Like! Aaron was very excited to give a talk to Dr. Jason Boyd’s “Narrative in a Digital Age” on August 16th centered around the ChessBard. 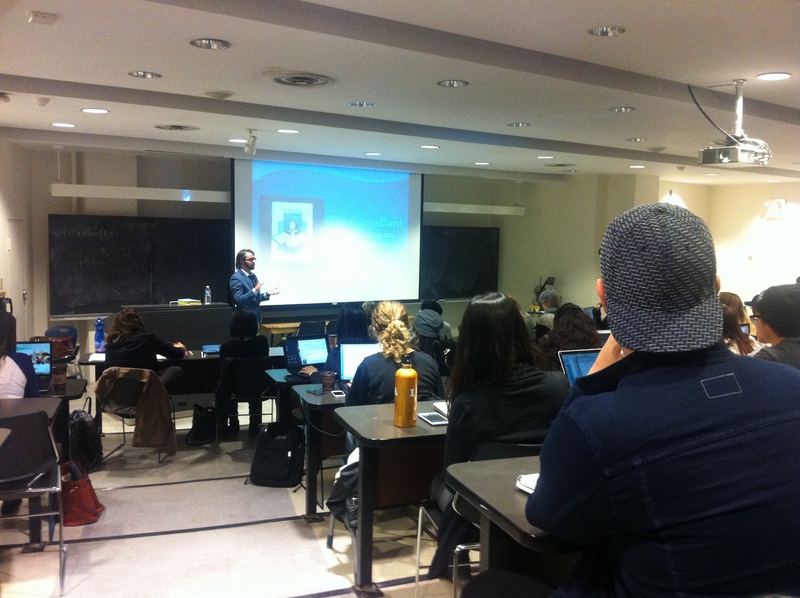 The talk itself contextualized the piece within past computer-writing projects and conceptual poetry before opening up the ChessBard to the students. It is deeply exciting then that a tournament was held and the results of which will be published shortly. Thanks to all the students who participated! If you’re looking to keep up on all things ChessBard, you can also like our Facebook page: https://www.facebook.com/chessbard. 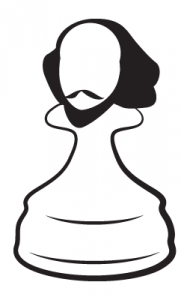 Gary Barwin Responds to the ChessBard! There is a minimalist variational elegance in the shapes of the pieces. In the simple binary pairs of white/black, light/shadow, win/lose. In the alternating turns. In the endless ontological or metaphysical narrative variation of beginning/ending. Life/death. In the relation of the pieces to the real world (castle, rook, knight, bishop, queen.) To dance, war, strategic intrigue, molecules, literature, music. A two-tone slow-motion soccer of the mind. How much is chess in the physical world and how much of it is in the imagination? Its richly unfolding patterns of play. The universe of chess unfolds on the universe/page/world/map/dimensionality of the chessboard. 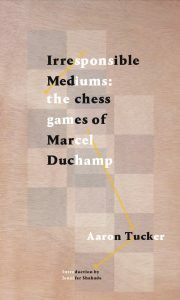 When I think of chess, I can’t help thinking of Marcel Duchamp, Machiavelli, Heisenberg, Wittgenstein. Sherlock Holmes. Lao Tzu. Check out the full page to see the poems he generated and the writing he’s done in response! Make sure to also visit the translator and the playable version while you’re here!